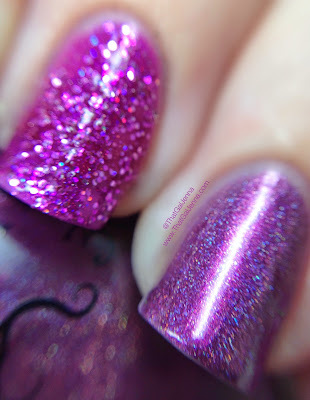 So today I have the start of my posts this week featuring NailNation 3000! NN3000 is one of my top 5 brands...so many pretty polishes it's ridiculous. Maria is releasing five polishes in the Wipe Out Transphobia Collection. 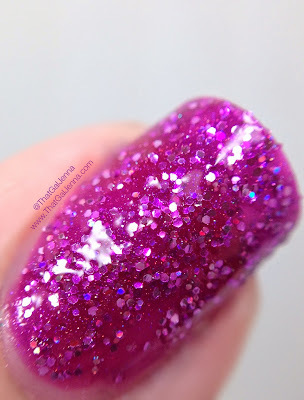 Today I have two of them to share with you and I will have the remaining polishes to share with you tomorrow! If you want more information about the inspiration behind the collection please check out the FB Page and the website. Also if you want to read up on the hashtags and the inspiration behind the polishes you'll see tomorrow - click here. PS - I have varying ways to wear the topper. I will notate them throughout the post. 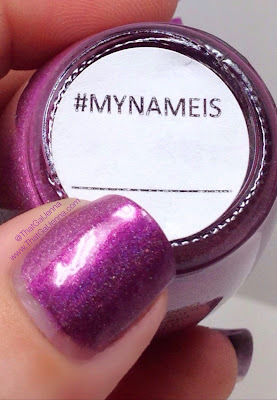 #MyNameIs - Two coats. Perfect formula. Zero issues! 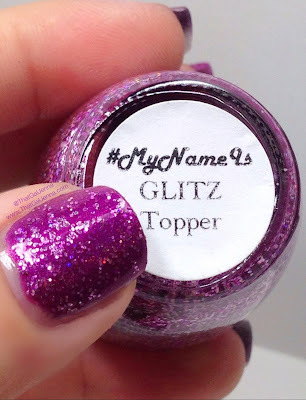 #MyNameIs Glitz Topper - Two coats to opacity without a base, one coat over a base color for light coverage, and two coats over a base color for full coverage but it will be darker if used over a base. I love both of these polishes. 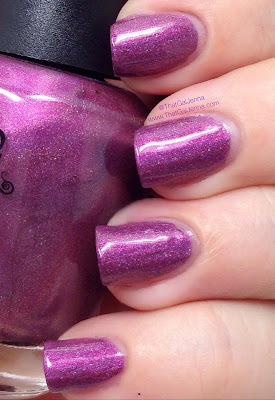 Worn alone #MyNameIs is this beautiful subtle purple holo but then paired with the Glitz Topper...it's like...whoa! I also LOVE the topper worn on it's own! So cute and full of sparkle! These are for sale right now!